Just because a series celebrates its 25th anniversary doesn't automatically mean we're going to see a new game out of it. Metroid is a notable example. And 2010 came and went without any kind of re-release of Duck Hunt. That said, Rockman/Mega Man fans note the game turns 25 on Dec. 17, and the last title published in the series is Mega Man 10, from two years ago. So one took to the "Ask Capcom" forum of Capcom-Unity to ask what gives, and if anything's in the pipeline, why wait until December to tell us about it? 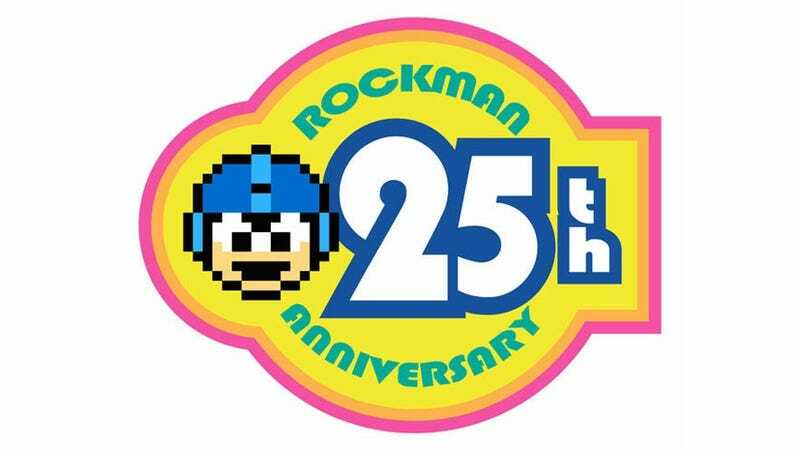 Christian Svensson, the Capcom senior vice president, responded that the company does have plans to celebrate Mega Man's 25th birthday, but don't get your hopes up about a game. In December "some but not all" plans for the coming year of celebrations will be shared. There are many moving parts and not everything will be done and final come December. No one has promised a game or even an announcement of one at that time. Please do keep expectations in check. As of now, the only game planned is Mega Man Xover, which, as a social game for the iPhone, understandably does not excite many. Especially as Capcom canceled both Mega Man Universe and, most notoriously, Mega Man Legends 3. That decision set off a furious response in 2011, and the series' creator said he had offered to finish the game, although his departure from the company probably gave Capcom little incentive to take him up on it.